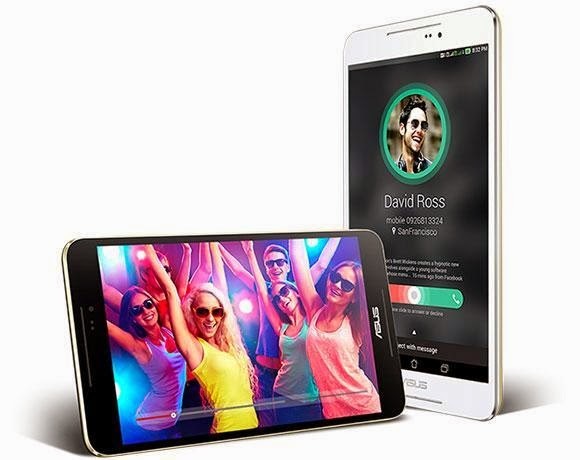 ASUS launched another tablet with phone call functionality, the affordable Fonepad 8. It is not a successor to the Fonepad 7 (2014 edition) but more like a bigger sibling. As its name implies, the Fonepad 8 has an 8-inch LED-backlit HD IPS display (1,280 x 800 pixels) with a 72.2% screen-to-body ratio. It is powered by a 64-bit Intel Atom Z3530 quad-core processor and comes with either 1GB or 2GB RAM and 16GB or 32GB of internal storage, which is expandable via microSD card slot. It also has dual-SIM card slots for full phone functionality and supports 3G connectivity. Imaging-wise, it has a 5-MP rear camera and a 2-MP front-facing camera. Among its other features are the SonicMaster audio with dual front-facing speakers, Bluetooth 4.0, and 12 hours of battery life. It measures 120 mm x 214 mm x 8.9 mm and weighs 310 grams. It is now available for $299 if you get it in Malaysia.